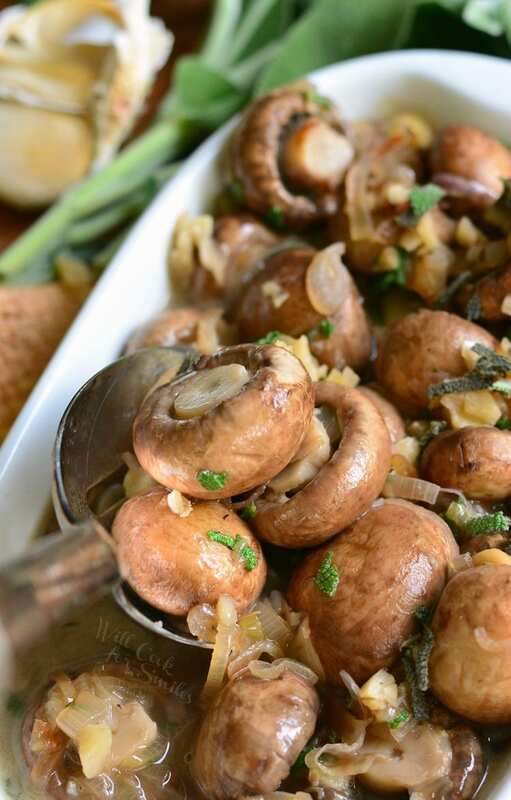 The best mushroom side dish you will even have! 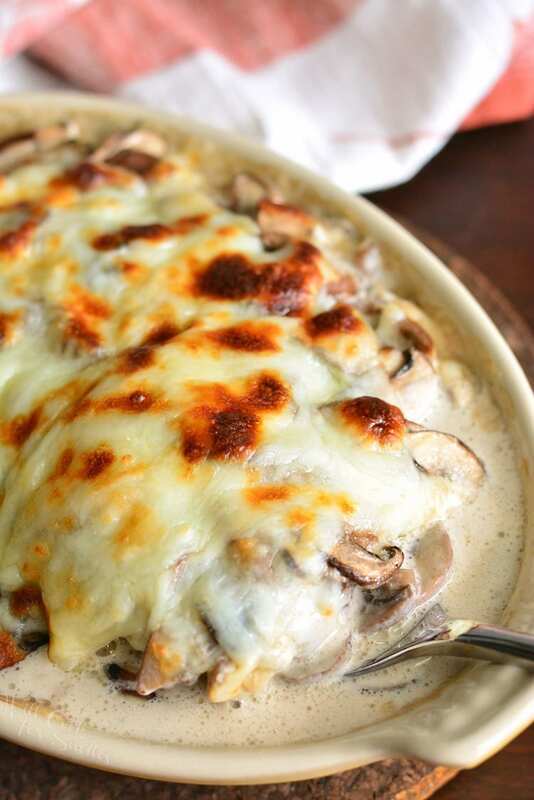 Thinly sliced mushrooms and shallots sauteed and then baked in cream sauce and cheese. This simple side dish will be your family’s favorite after one bite. 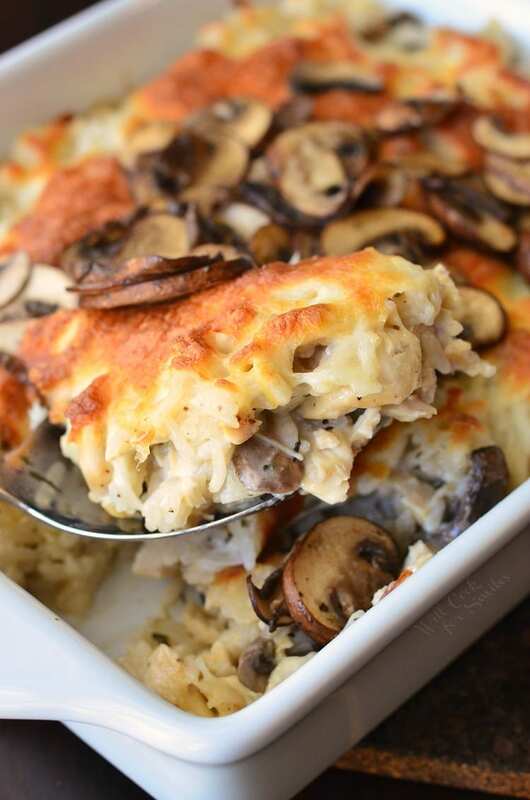 I say with absolute confidence that this is the best mushroom side dish! Every family member and friend that tried this dish has fallen madly in love with it. 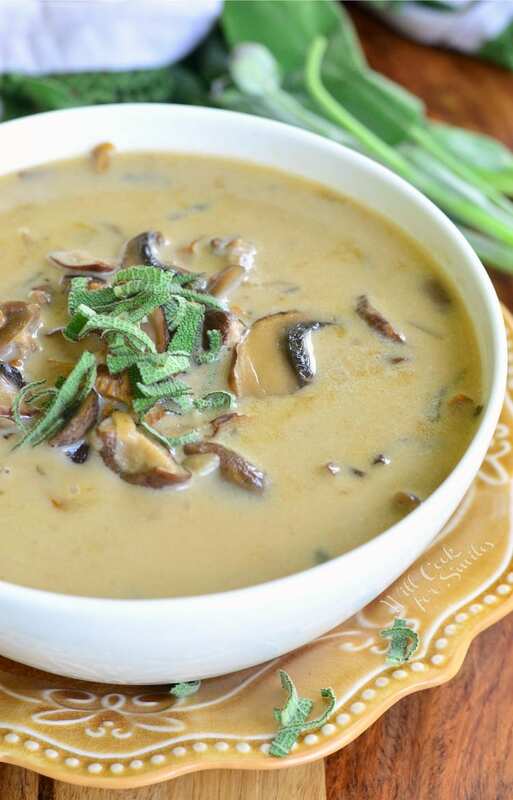 Of course, you have to like mushrooms first but if you already do, I have a new favorite dish just for you. 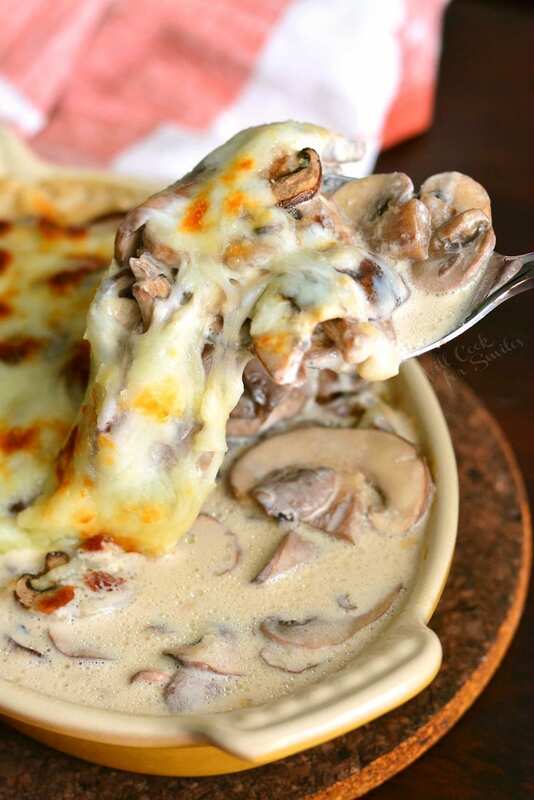 Mushrooms Julienne is traditionally made with just sour cream and cheese over the top. Heavy whipping cream was not a popular ingredient in Russia and was actually hard to find, so it wasn’t used in many recipes. 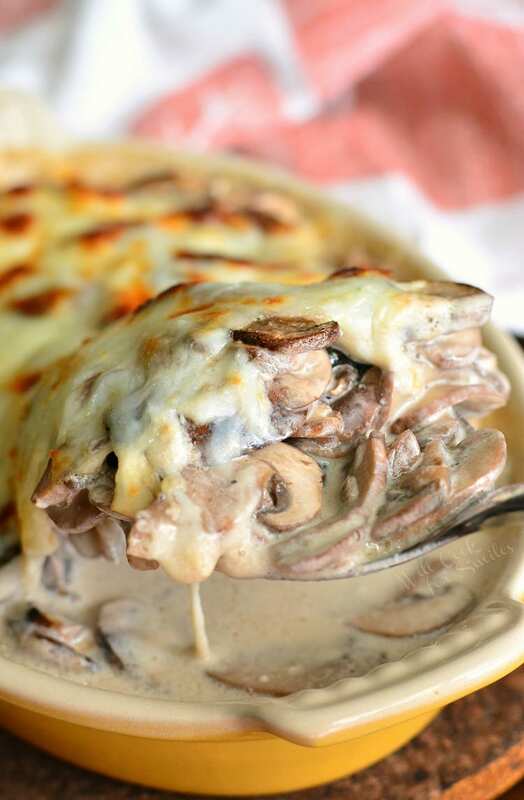 My mom started using heavy cream in Mushroom Julienne after moving to the states and that is the recipe that stuck with me. I like the use of heavy cream because it cuts down on the sour cream and adds smooth creaminess to the sauce instead. 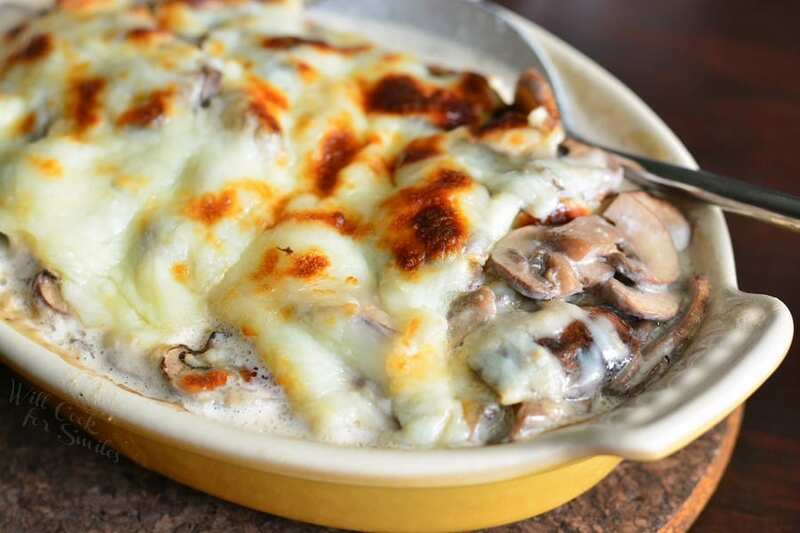 A traditional way to serve Mushroom Julienne is as an appetizer and that’s the way I’ve served it until I gave the recipe to one of my close friends and she found about a hundred more uses for it. It didn’t even occur to me to use it as a topping or a sauce before. A few years ago, I shared my Chicken Stroganoff lunch with one of my co-workers and she immediately fell in love with the dish. I gave her my recipes for the Stroganoff and Mushroom Julienne and she told me that she made the mushroom for a week straight. Every day, she made a different meal with Mushroom Julienne. She topped chicken and steak with it, she used it as sauce for spaghetti, and she used it as a side with too. That is a lot of love for one dish and a lot of ways to incorporate it into ones menu. Make it, eat it, and fall in love! 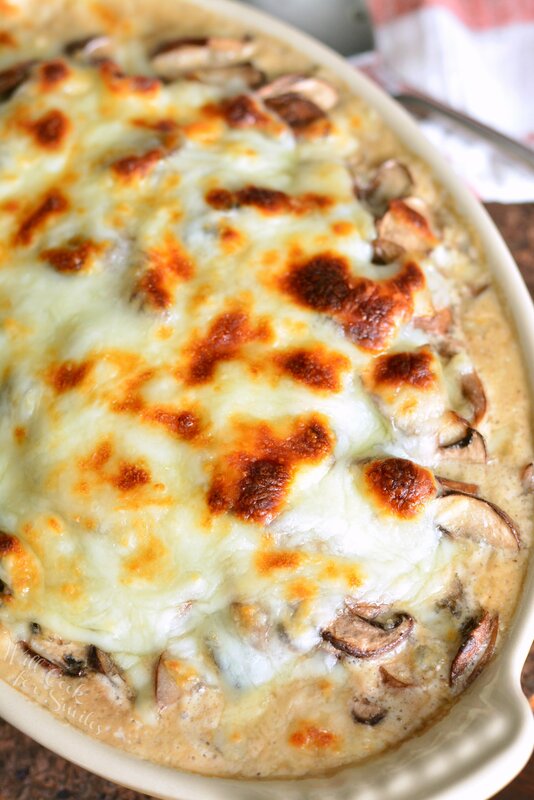 Thinly sliced mushrooms and shallots sauteed and then baked in cream sauce and cheese. Slice mushrooms and shallots thinly. Heat up a medium cooking pan and add oil. Season mushrooms and onions with some salt and pepper. Saute them over medium heat until just done. Drain off the mushroom juices. Add creamy mixture to the mushrooms, stir well and heat through. 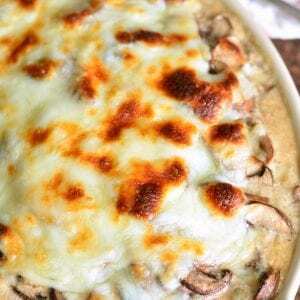 Transfer mushroom mixture into a baking dish and spread shredded cheese over the top. Bake for 10-15 minutes. We made this tonight (Good Friday 2018) and it was delicious! All we had on-hand was button mushrooms which worked fine. Made only a quarter of the recipe for my wife and myself in a small gratin dish and it was just right to go with our other entrees. Thanks for the recipe. I pinned it for future reference. this recipe was everything you said it was and more thank you for sharing yum. How does your friend use it as a sauce with the mozzarella? Doesn’t the mozzarella melt into a surface area that doesn’t go well over pasta, or does she leave it out? I imagine you can do the same with pasta, scoop it over the top and mix.